As an increasing number of high school students apply to college each year, just as many diverse perspectives form about college. WSS examined some of these perspectives to redefine what a “dream school” really means. 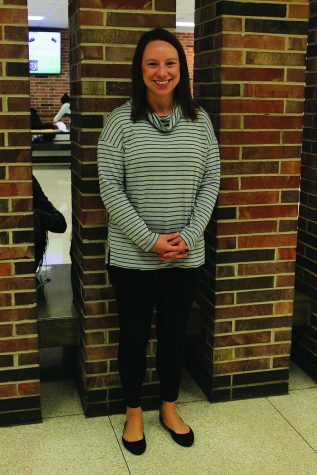 Throughout her career as a counselor, Kelly Bergmann has noticed a growing trend of perfectionism among high-achieving students toward college applications at West and the consequences and myths that come along with it. The idea of perfectionism has led students to think in a closed mindset, where they believe that a successful future lies only in going to their dream school. This mindset, along with the fear of failure, leads to students striving toward perfection in a variety of ways, such as spending hundreds of hours poring over test-prep books, pushing parents to shell out hundreds of dollars on expensive programs and coordinating every action to what they believe an admissions officer would find appealing. “I think now we’re living in this age where everyone wants to have a tutor and they feel like if they don’t score anywhere from a 30 to 34, somehow, they’re a bad test-taker and they’re never going to get into college,” Bergmann said. This mindset can lead to other harmful effects, such as excessive competition and stress, especially with West’s tradition of excellence. This can make what is mostly an independent process encompass the results of others, creating an environment of comparison and tension. “It’s very nitty gritty. [Counselors] hear gossip a lot,” Bergmann said. However, during the application process, seniors are usually full of stress, balancing their busy school coursework with auditions, essays, testing and extracurricular activities. At times, students may be overwhelmed and don’t know how to deal with the pressure. Bergmann realizes that as a part of perfectionism in the college process, the numbers in the applications are extremely important. However, she recommends showing colleges the more human side of a person instead, observing that if everyone is trying to become perfect and are doing the same activities, everyone blends into the masses and no one truly stands out. One of the most important parts in showing the more human aspect is through recommendation letters. Bergmann emphasizes relationships—that when teachers and counselors write letters, the best letters they write are for students they genuinely know as a person through conversations, showing their interests and their personality rather than their grades. “Just be a good person and we’ll notice that. We can tell a difference between the kids that … have this human aspect to them versus the kids that are 4.0 perfect for this, tutor for that. We see those things. That’s what [sets] you apart from everyone else,” Bergmann said. The combination of perfectionism, competition and stress comes into play the most during decision day, which can make or break a student’s aspirations. In the end, no matter the result, a successful future still lies within sight. Just last year, more than 38,000 hopefuls from around the world applied to Stanford University, marking the record for the largest application pool in Stanford history. Only about 2,000 were offered the coveted acceptance letter. It becomes no surprise that Stanford’s acceptance rate is the lowest out of all colleges in the U.S. at a mere 4.8 percent—enough to scare even the most qualified applicants. However, this prospect didn’t prevent senior Lauren Ernst from applying early to her dream school, even in an extremely competitive environment. In hopes of making the cut, Ernst prepared since freshman year. Ernst has committed herself to five AP classes senior year, making it difficult at times to focus on applications. Additionally, the competitive and stressful environment among seniors during college applications can make it just as hard to focus. Ernst has experienced this firsthand on a day-to-day basis. “I’ve talked to a couple of people and they’re like, ‘Well, if I don’t get in and this person does, I’m going to be kind of upset because I feel like we have very similar applications,’” Ernst said. With tension among students, the demanding pressures of perfection and comparison can lead to secrecy, as acceptance letters can become the definition of success among high-achieving students today. In situations where students always pressure themselves to get the best grades, take the hardest classes for the sake of college or study for countless hours, Ernst has come to realize that essays, in fact, are one of the most important parts of the process but certainly not the easiest. “A lot of the prompts are like, ‘Why this place?’ I’m like, ‘Well, it’s pretty and they have a good academic program, and that’s about it.’ That’s not going to be sufficient to get me in,” Ernst said. With multiple essays to be written, Ernst has frequently had to look back on her life for the perfect idea. Along the way, she’s come to realize things she could have done differently in her underclassmen years. Around college application season, most high school students are stuck indoors at home, busily trying to finish the many applications for the multiple colleges they’ve applied for. It’s a whirlwind of essay writing, late nights, stress and procrastination. For one student however, college applications are a breeze. Senior Zach Ring has only applied to one school – the University of Iowa – and he won’t be applying to another. “I think the main reason for me was because there’s so many perks of going to the Iowa and what I want to do that it made sense to go to Iowa,” Ring said. 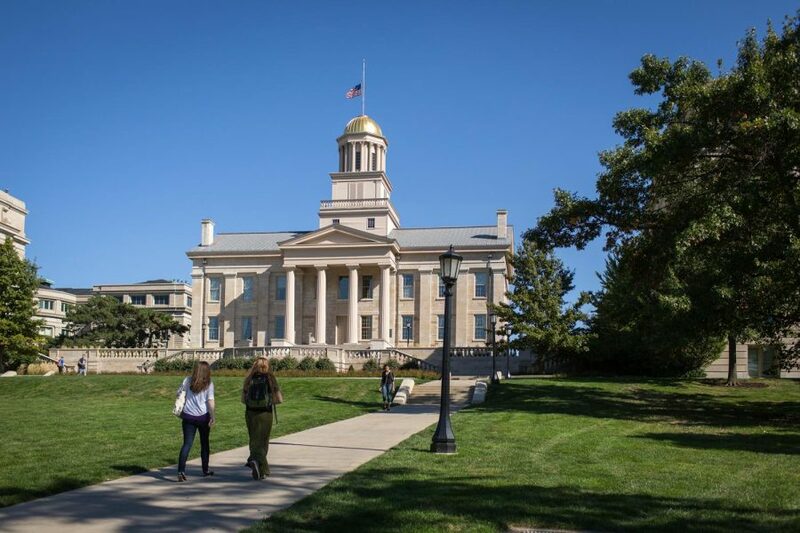 The benefits of having cheaper in-state tuition, access to the U of I’s new music building, the marching band and being a big fan of the Hawkeyes have all persuaded him that he didn’t need to waste time on applying to other places when he was sure the U of I was the right school for him. Because of his light course load and freetime from being done with college applications, Ring devotes all of his freetime to his extracurricular passions and what makes him happy. “Extracurricular activities are the big thing for me, and it’s fantastic. The time people are putting into college apps, I’m putting into extracurriculars,” Ring said. Being involved in many extracurriculars has helped Ring with deciding on his future career and eventually deciding on the U of I. Throughout his entire high school and junior high years, he has been an avid choir, show choir and band member. Because his mom is also a teacher, he’s combined both influences in wanting to become a choral director. However, this wasn’t always the case. Like most students, Ring didn’t know what he wanted to do as a career for most of high school years. “College really hasn’t ever crossed my mind. For a long time, I’ve been really adamant on, ‘I’m a freshman and I shouldn’t know where I want to go for the rest of my life,’ and so I’ve kind of been putting it off until senior year,” Ring said. At one point, he was sure of becoming a chemical engineer because he believed it was a stable job and provided good pay. It wasn’t until he decided to take a Futures class at West, a class designed to help students explore career options, that he made an important realization. Because Ring always focused on what he loved to do, grades and classes were never a big focus in his high school career, but he always believed in a mindset that his parents instilled into him. In an academic and moral sense, Ring represents a stark contrast from the perfectionist applying to many elite colleges. To many students, the mere idea of studying abroad in a foreign country with no parents for a year can be an unimaginable thought. However, for junior Yajatra Kulkarni, it is an opportunity that will soon become a reality. It was just last year when Kulkarni found out about the Rotary International Student Exchange Program – a program that gives high school students the opportunity to apply for a chance to study abroad in a foreign country for one full academic year under a host family. He discovered the chance through a family friend, whose recent trip to Germany through Rotary convinced him to apply. “[My friend] recommended I should go this year because it’s a good experience and it helps you to grow as a person. I decided to do it and I think my goal behind it is to develop a maturity for myself before I get into college and to explore. I’m hoping to get an adventure out of Rotary and learn about a new culture and language,” Kulkarni said. No matter how fun the experience may seem, it wasn’t an easy decision for Kulkarni as he realized he would have to overcome many challenges both physically and emotionally. One of the biggest hurdles would be having to graduate early and travel to go to school in the foreign country, where he wouldn’t know the language or anybody there at all. “All of the classes will be in that language that they speak so I probably won’t learn anything and I think there will be a lot of frustration for me to try to comprehend what is going on,” Kulkarni said. Not only will he have to keep up with the classwork in the foreign school, but he’ll also have to finish his college applications before his embarks on the trip at all, while keeping up with the challenging AP course load at West. That means he has to decide which colleges he wants to apply to already as a junior and having to deal with the fact that colleges haven’t released their essay topics yet. Because he needs the topics this year, he will have to contact each individual college explaining his situation while gathering teacher recommendations, maintaining both his grades and extracurriculars, and preparing to live internationally. “As I get closer to that deadline I’ll probably really start worrying about it because that’s when AP testing, finals, and writing college essays happens. It’s going to be a really really bad process,” Kulkarni said. Another aspect that Kulkarni will have to prepare for is homesickness, one of the biggest problems for students that his Rotary training sessions have pointed out. Having always lived with his family and among his friends, taking this trip is a huge step for him. The training sessions that Rotary offers are not only to combat homesickness, but other issues that students may encounter by letting students spend the night for three days in a facility learning to encounter different trouble scenarios. However, what they won’t help with are the experiences that Kulkarni will possibly miss back at West High and at home. Going forth with this decision hasn’t been a total personal decision, after having the opinions of his loved ones influence how he felt on taking this leap. As for anyone else who may be thinking about Rotary, Kulkarni has some advice. Music has touched the lives of many students. However, only a few are passionate enough about their instrument to pursue a music major and a career as a musician. Senior Olivia Manaligod happens to be one of those students. With a strong philosophy dedicated toward pursuing her passions, she is applying to many voice and opera programs across the country in hopes of becoming a professional singer, despite the risks. For Manaligod, applying early to her dream school of Northwestern University seemed most fitting, partly because of her unique legacy status. Even though having her grandfather, mother and brother as alumni is beneficial for her application, Manaligod is well aware that Northwestern is one of the most selective colleges in the country. “I do feel a lot of pressure, especially when applying for voice programs and having so many talented people auditioning for the same things.” Manaligod said. Regardless of how well a student’s vocals are, highly selective schools like Northwestern strongly emphasize academic rigor as well, which makes for a more competitive environment that Manaligod has already experienced close to home. A huge part of the process in applying to many music schools is the audition in which students prepare their best work to perform at a scheduled regional audition on campus or to record and send online. Because most students view this audition as the gateway to their future, it can quickly become a high-stakes process. However, Manaligod has recognized that the challenges in auditions and applying to music programs have benefitted her by making her become more independent as a performer. The process represents a shift away from her experience of working closely with groups during the All-State process or rehearsing in musicals. “When applying to colleges you have your support system, but you feel like it’s on you. I have my pianist and my teacher, but at the end of the day it’s really just about my voice,” Manaligod said. “[The process] makes you grow as a performer. You can’t rely on having others perform with you so I have to become more brave, but at the same time it’s still scary … to work with other people,” Manaligod said. With the college application process near its end, Manaligod remains hopeful for her career as a musician, regardless of the results on decision day.